Choosing “#UnfinishedBusiness” as the official hashtag-slash-motto for Bruce Pearl’s 2018-2019 Auburn Tigers had to come easily. Yes, the Tigers’ 2017-2018 was an unforgettable, unequivocal triumph, one of the best seasons in school history. No, their one-and-done SEC Tournament exit at the hands of Alabama and 2nd-round NCAA Tournament humiliation at the hands of Clemson didn’t change that. But likewise, the Tigers’ regular season SEC championship didn’t mean their postseason was anything other than a stunning failure. They knew it, we knew it, everyone involved in picking out this season’s hashtag knew it. They had very specific business. It still needed finishing. But #UnfinishedBusiness being the only choice doesn’t mean it wasn’t also a dangerous choice. Most team hashtags are abstract platitudes that don’t say much about the team’s concrete aspirations, and that’s fine. The ease with which mottos that show any ambition beyond “we work hard” become trash-talk weapons in the hands of rivals is obvious to anyone who’s seen the myriad Auburn-based variations on #BuckleUp. It might have been better to pick a hashtag that didn’t really say anything. Auburn instead picked one that says something clear, pointed, specific. We will either perform at our best in the SEC Tournament and advance to the Sweet 16 in the NCAAs, #UnfinishedBusiness tells us, or Bryce Brown, Malik Dunbar and Horace Spencer’s final season at Auburn will be a failure. Publicly announcing such a definitive goal is one thing; publicly announcing one so terrifyingly subject to the whims of basketball randomness is another. You can absorb a whole series of infuriating high-profile losses in the regular season and still come out the other side with your NCAA bid and postseason dreams intact. But one off-shooting performance, one white-hot opposing scorer, one bad draw, selection committee sending you to play at altitude on three days’ rest after you’ve played four games in four days…there’s a lot of things outside of your basketball team’s control that can render a lot of your basketball team’s focus and preparation moot. 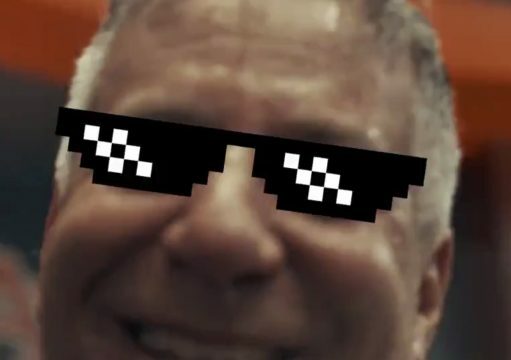 Bruce Pearl’s 2018-2019 Auburn Tigers didn’t care about any of that. They told you they had business to finish. Then they went out and finished it. They beat Tennessee to earn the 5 seed. They beat Missouri. They beat South Carolina. They beat Florida. They destroyed Tennessee to win the second SEC Tournament championship in Auburn men’s basketball history. They survived New Mexico State. Then they ran the Kansas Jayhawks clean off the floor for the fifth Sweet 16 berth this program has ever enjoyed, and just the third in the past 33 years. They played four halves of basketball between halftime on Sunday in Nashville and halftime on Saturday in Salt Lake, and two of those halves represent the 40 greatest minutes of basketball I have ever seen Auburn play, the 1999 Tigers included. In short, they did exactly what they told us they would do when the season began. That shouldn’t be a surprise. This team is built on telling you exactly what it’s going to do — take threes from all over the court, hunt turnovers at every opportunity, fly into transition at every glimmer of an invitation — and then going out and doing it regardless of opponent. So it’s also not a surprise that Jared Harper, Bryce Brown, Malik Dunbar, Chuma Okeke, Anfernee McLemore, Horace Spencer, Samir Doughty, Danjel Purifoy, J’Von McCormick, Austin Wiley and their bench support have become one of the most beloved teams to ever wear an Auburn athletics uniform. They’re a joy. They finished their business. We got to watch it happen. We’re so #blessed. — Playing a relentless offensive rebounding team from an elevation of 3,900 feet at an elevation of 4,200 feet in the Thursday afternoon session was indeed just about the worst-case first-round scenario. A few Auburn fans owe the committee an apology anyway, because for a team laser-focused on the Sweet 16, getting Kansas as a second-round opponent over Florida State or Virginia Tech was the most precious of gifts. By the third time the Jayhawks had sent multiple players to pointlessly harass Auburn’s rebounder in the backcourt as prelude to Harper breaking into the open court and Brown launching an uncontested three, it was clear the Tigers had gotten the best second-round draw they could have asked for. — Also: the committee can not be held responsible for Auburn holding a seven-point lead and the ball on three separate possessions between the 1:50 and 50-second mark and still needing two missed free throws from a 77 percent shooter to survive. Auburn had eight possessions in the game’s final 90 seconds, yielding a missed layup, three turnovers, the missed front end of a one-and-one (after Okeke mysteriously inbounded to Spencer instead of Harper), a 1-of-2 trip to the line for an 80 percent shooter in Doughty … and 2-of-2 trips for 59 percent shooter McCormick and 73 percent shooter Okeke, successes that will inevitably be lost in the magnitude of Auburn’s collapse (and escape) but that nonetheless must go down as some of the biggest, clutchest free throws ever taken by an Auburn player. I assume I’ll stop waking up in a cold sweat over that game sometime. Fall 2021, possibly. — Starting with the Mississippi State home game that broke the seal on Auburn’s Q1 resume and kickstarted, well, everything, a game-by-game list of the Tigers’ best player: Brown, Okeke, Okeke, Spencer, Harper, Harper, Okeke, McCormick, Brown. That’s five different players over a span of nine games, with none getting more than three mentions and Doughty — who’s been outstanding off the bench during the streak — not among them. Remember late in the nonconference slate/early in the SEC season when the team felt completely dependent on Harper and Brown? That’s a mercy-killing of a top-10 team, with a distinct crowd advantage, with a banner on the line neither program had claimed in the past 30 years. Auburn men’s basketball did that. Bruce Pearl is a sorcerer among sorcerers. Photo via Justin Ferguson, original @AuburnMBB. This team has made me totally forget that I even had that thought until Jerry pointed it out in this article. Great article Jerry.